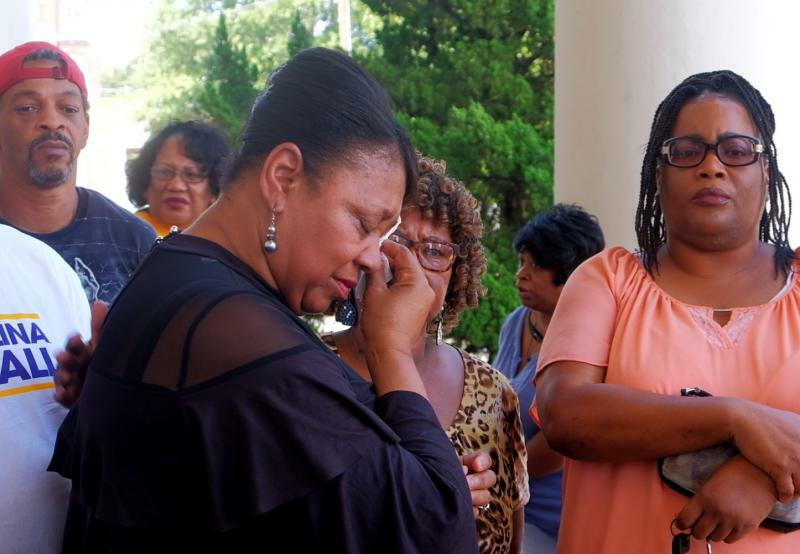 Macon NAACP chapter president Gwen Westbrook wipes away tears before a press conference where she asked for a curfew for teens to stem homicides. With more than three months left in the year, that’s a homicide rate comparable to the annual homicide rate in Chicago. And while many of the dead have been teenagers, their alleged killers are also under 18. That’s why Gwen Westbrook, president of the Macon chapter of the NAACP, is asking for a 10 o’clock curfew for all minors. Westbrook says she’s aware of the dangers implicit in asking law enforcement to stop young people more often. "We don’t want to give them an excuse for them to shoot our kids," Westbrook said. "But if we don’t do something it’s going to be more and more killings." Westbrook said she made the request on the 17 year anniversary of her own brother's death in a gun homicide in Macon. Macon already has a curfew law that on paper should keep minors 16 and under home after midnight.